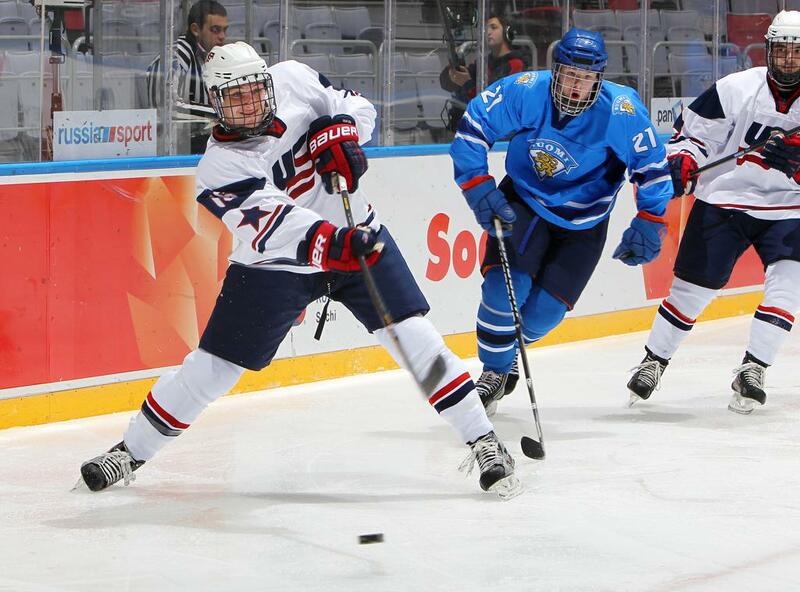 Santini was an impressive +8 for Team USA in seven games at the 2013 World Under-18 Championship in Russia. Photo courtesy of HHOF-IIHF Images. 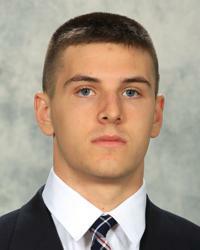 Steven Santini’s defensive play at the 2013 International Ice Hockey Federation World Under-18 Championship earned him a special honor — the directorate award as the tournament's best defenseman. In doing so, Santini became the sixth player from Team USA to receive the award, joining Cam Fowler (2009), Kevin Shattenkirk (2007), Jamie McBain (2006), Zach Jones (2004) and Ryan Suter (2002). Santini will skate for Boston College next season. Photo by Dave Reginek. Team USA claimed the silver medal, falling to Canada 4-3 in the championship game. Santini, a 6-foot-1, 208-pounder from Mahopac, N.Y., has always been a defensive stalwart. He thrives on his ability to shut down the opponents’ top line, including at the World U18 Championship, where Santini and his teammates held opponents to just 22.7 shots per game. Santini began his youth hockey career as a forward. But with his father Steve serving as Steven’s head coach, the younger Santini didn’t exactly have a choice one season when the team needed another defenseman. In his two years with the NTDP, Santini tallied two goals and 25 points in 121 games. He credits the program with helping him become a better player. More than anything, that growth has translated into memories of representing his country. Santini said it has been special an honor to represent the United States. “Having played for the NTDP and Team USA, I have a new special feeling whenever I hear about our country or the national anthem,” he said. “Even when I watch another sporting event, I hear the national anthem and it gives me chills. It is a privilege to wear the jersey and privilege to play in Ann Arbor. In the fall, Santini will slip on a different jersey, wearing the colors of Boston College. Will there be a Hockey East rivalry between father, who was a forward at the University of Maine, and son? “No,” Steven said laughing. “My dad supported my decision. However, my mom’s grandparents still live in Maine and they tease me about it. If Santini continues to play his game, than that teasing might just have to end. 17 Defensemen, 27 Forwards and 6 Goalies Invited to Ann Arbor.